Biz Latin Hub (BLH), the young Latin America market disrupter, is pleased to announce the opening of new offices in Brazil, Costa Rica and El Salvador. BLH’s growing reputation in Latin America combined with an increase in large multi-national companies interested in doing business in the region has played a crucial role in the expansion of the group. CEO and Co-Founder, Mr Craig Dempsey has played a pivotal role in the company’s success, which he intends to accelerate over the coming months. “It is exciting to be involved with Latin America at a time where the region is opening up the world and presenting a broad array of business opportunities for smart business folk. The opening up of our new offices highlights this, in addition to the exponential growth in investor confidence in the region.” – Craig Dempsey, CEO and Co-Founder. Costa Rica and El Salvador were not initially on the group’s radar, however, a diverse array of attractive industries, an increasingly educated local population, simplified business processes and government policy to tackle corruption have meant that investor confidence in these regions has rocketed – creating an obvious market opportunity; BLH identified this opportunity and has grabbed it with both hands. While the group is focused on growing their new offices, they remain open to establishing operations in other parts of Latin America and the Caribbean should the market opportunity arise. Biz Latin Hub has seen exponential growth since its foundation, especially in the past 18 months. The group has come a long way during its first 4 years of operations. What began as 2 staff operation working out of small shared office in the back-streets of Bogota in September 2014 has evolved dramatically. BLH has seen exponential growth since its foundation, especially in the past 18 months. The group will soon have offices encompassing 10 Latin America countries; not an easy task by any stretch of the imagination, but a task that has been embraced by all staff. As the group has continued to grow, so has its client base. BLH’s client base has seen an evolution over the past (2) years. Initially, BLH was seen as a partner for principally SMEs, however, in recent times, larger international groups have elected the group as their trusted Latin America business partner. Some of BLH’s multi-national clients include CargoJet, The Macromill Group, Imperial, Nexpay, Hopper, Hubspot and Velocity Global. The group’s local expertise and bilingual and professional staff have placed BLH in a unique position to support all sized businesses in varying sectors and industries. One of BLH’s trusted friends, Mr Jairo Hernandez, has shown support to the group over the past 12 months in relation to doing business in Central America, specifically Costa Rica. “I am excited that my friends at Biz Latin Hub have expanded their operations to Costa Rica. The country has so much to offer, and it makes me immensely happy that commercial interest in the region is growing. I have complete confidence that Biz Latin Hub will launch their operations in my home country with success and will further contribute to the economic growth of Costa Rica” – Jairo Hernandez, Ambassador of Costa Rica to Australia. 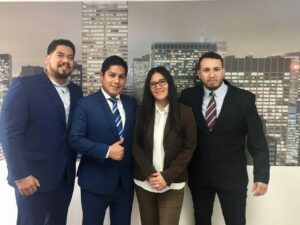 While the group continues to grow, they remain humble and stay committed to supporting their clients to successfully enter and do business in the Latin America region. BLH is owned and managed by an experienced team of local and expat professionals, dedicated to assisting its clients in navigating their way through the complexities of the Latin American business environment. If you are looking for a local partner in Latin America to help execute your business plans, reach out to CEO and Co-Founder, Mr Craig Dempsey at [email protected].